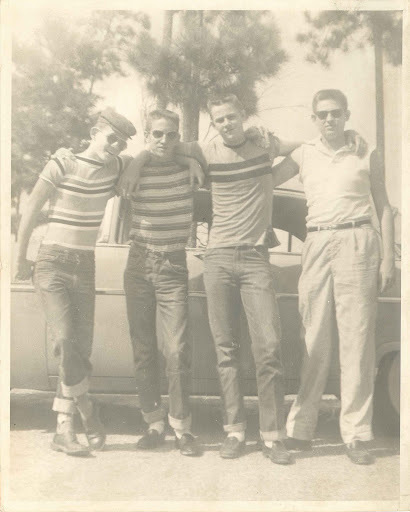 That would be my dad on the far left, with the super rolled up jeans and the hat on. His twin brother is on the far right. It never ceases to amaze me how shocked I am when I see something like this and realize (yet again) that my parents had a life before me. I didn't know your dad was a twin! He is, Kris. His brother's name is Jim. Yep…Jack and Jim. How adorable is that?